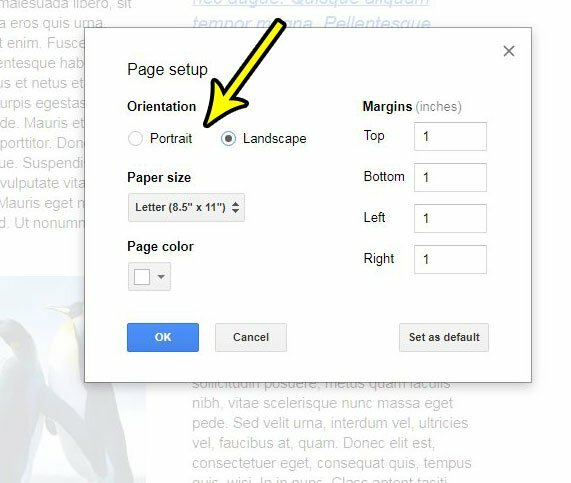 New documents that you create in Google Docs are in the portrait orientation. Most documents that you need to create for school or work will have portrait orientation listed as one of its requirements, and a majority of the documents created with word processing programs are in the portrait orientation. But not every document needs to be portrait, and some documents are better served if they are in the landscape orientation. In some word processing programs changing the orientation is obvious and fairly easy, but it’s a little more challenging in Google Docs. 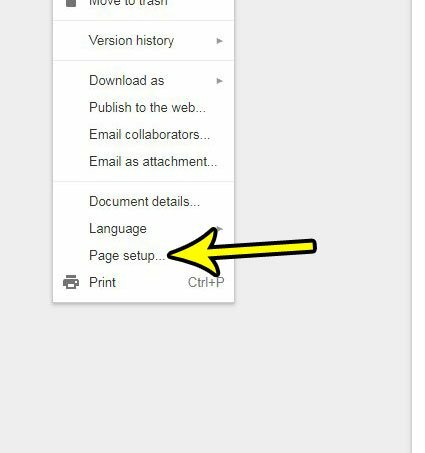 Our guide below will show you where to find the orientation setting in the application so that you can switch document orientation as needed. The steps in this article were performed in Google Chrome, but will also work in Firefox, Internet Explorer, and most other desktop and laptop Web browsers. Note that the layout of your document can change pretty significantly after you change the page orientation, so you will definitely want to look over it after changing the orientation to ensure that document elements still look correct. Step 1: Sign into your Google Drive at https://drive.google.com/drive/my-drive and open the document. Step 4: Select the desired orientation under the Orientation section of the menu, then click the OK button at the bottom of the window. Does your document contain a lot of copied and pasted elements that look bad because they all have different fonts, sizes, and other formatting elements? 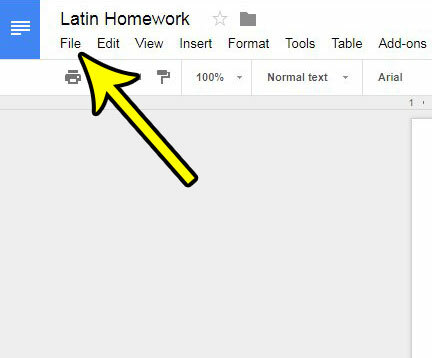 Find out how to clear formatting from a selection in Google Docs and save yourself some frustration in fixing those formatting inconsistencies.